Facebook and Instagram have a lot of rules that one (specially brands) need to follow on the social media platforms for ads, but the latest change – or update – ditches the 20% text overlay on images limit (as of April 8, 2016). Now, it's a bit of a grey area. Post carefully, or your ad will certainly be rejected. 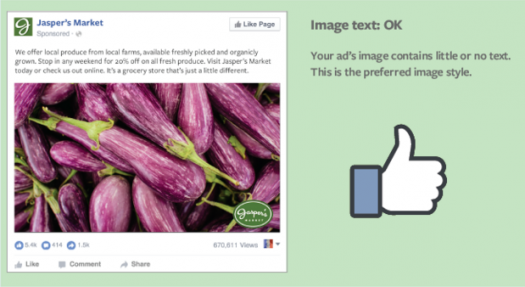 Up until last week, Facebook had a rule that dictated that text couldn’t make up more than 20% of the image of your Facebook Ad. This was a strict rule, and they would usually reject ads because of it. 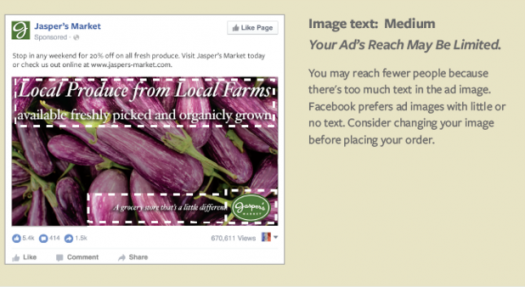 Facebook provided a grid tool where you could upload your ad and see exactly how much of the image your text took up. If you kept text within the grid result of 20%, your ad was OK. Now that's gone. 1. OK : If your image text is classed as OK -it means it has minimal text—like a company logo and not much else. 2. Low : Images that have been classified as low will have a slightly restricted reach. 3. Medium : Images in the medium text category your ad will reach fewer people than optimal. 4. High : If your images have a high volume of text then they're unlikely to display at all. • Product Images – where an entire product can be seen, and not just a zoomed in image of the product. • Text-based Businesses Calligraphy, cartoon/comic strips, etc. Facebook are pretty that they prefer images to have little or no text. 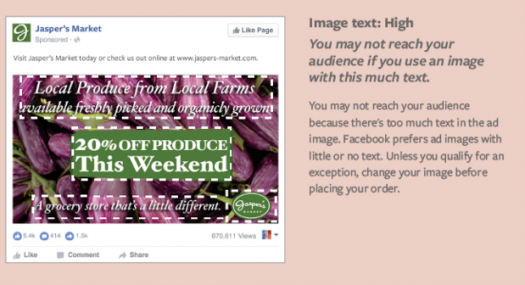 To ensure maximum reach, save your text for the post – not the image. The changes are not in place for all users as yet. Facebook is testing and rolling out the new options gradually. It may seem like brands a bit more to play with considering the rule’s update. But, let's face it – the rule is a vague and open for interpretation. Technically you can add more text than before, but to what use?,Your reach could be limited or totally absent because the ad may not display at all. Play it safe. 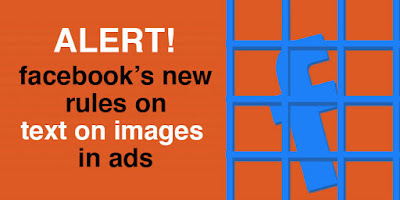 Face it, Facebook prefers clean, beautiful images. Don't you?